Do Security Cameras Really Make Campuses Safer? The vast majority of K-12, higher ed and hospital campuses have security cameras installed. CS’ latest study finds out if they are worth it. 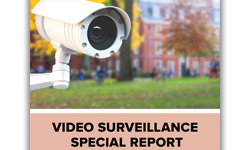 According to Campus Safety magazine’s 2016 Video Surveillance Survey, more than nine out of 10 schools, universities and hospitals deploy security cameras on their campuses. 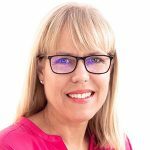 Because video surveillance systems are so popular, this year CS has drilled down deeper into this topic to find out if cameras are worth the investment. 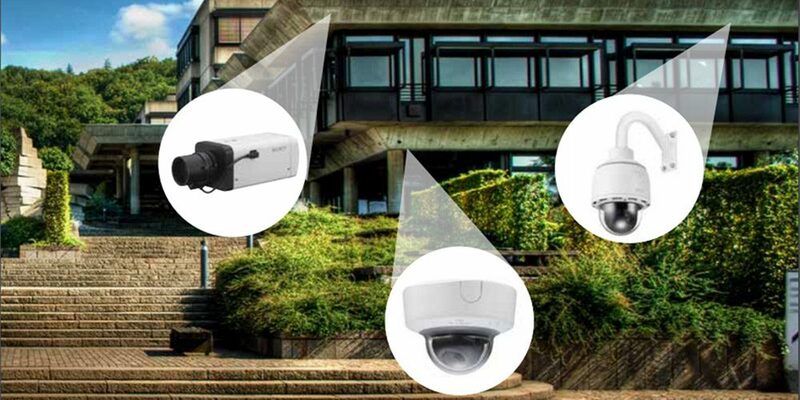 Most people want to know once and for all if video surveillance systems actually help campus protection professionals do their jobs. They also want to know just how important things like system reliability and video clarity are. CS got the answers to these and several other interesting questions in our 2018 Video Surveillance Survey. 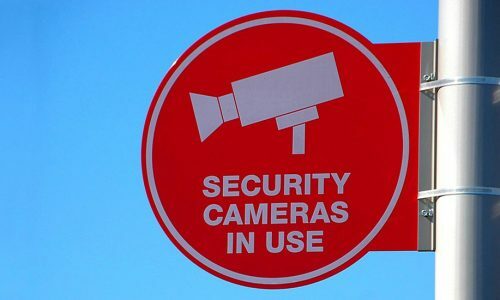 It turns out that 96 percent of survey respondents that have video surveillance systems installed on their campuses say these systems frequently (58 percent) or sometimes (38 percent) provide evidence for investigations. 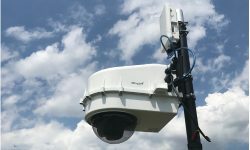 Four in five say their security cameras frequently (24 percent) or sometimes (56 percent) prevent crime, and 86 percent say these systems frequently (50 percent) or sometimes (36 percent) help their departments monitor their campus during other situations when safety or security issues could arise. Nearly three out of four respondents (74 percent) say their video surveillance systems frequently or sometimes act as force multipliers. 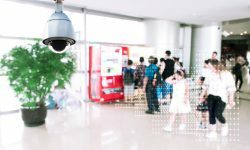 These results show that security cameras are a valuable tool for most school, university and hospital public safety and security departments. That’s probably why 94 percent of this year’s survey respondents say their campuses use their security cameras daily or weekly. That’s also most likely why they believe factors like clarity of video and system reliability are so important. More than four out of five respondents rate image quality and reliability as extremely important. 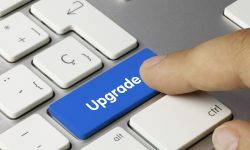 On a scale from one to five (with one being not important at all and five being extremely important), both clarity and reliability have an average rating of 4.8. Charts containing all of the survey findings can be viewed here. When drilling down further into reliability, 76 percent of respondents say they want their cameras to work consistently for more than three years. Nearly four in five respondents (79 percent) replace their cameras when needed. Some of the ways campuses uses their video surveillance systems include monitoring after-hours activities, parking lots, employees, helicopter pads and sealed roof-top areas, traffic, school bus fleet parking lots and bus arrival times, doors and access points, residence halls, event crowds, weather, at-risk patients who require a sitter, perimeters, hallway traffic and use of bathrooms. Security cameras are also used in lost-and-found investigations, to verify the facts about incidents, to determine the number of officers needed to respond to a situation, in training, to locate missing persons, to back-up or refute children’s versions of incidents and in conflict resolution. Additionally, campuses use their video surveillance systems for live tracking, scanning the campus for patients who walk out, maintenance documentation, class size assessment, license plate reading and policy enforcement. New to this year’s survey is a ranking of the various security issues facing healthcare and education. For higher education, on a scale from one to five, theft ranks as the most challenging problem (3.4), followed closely by “crime from the community coming onto campus” and “incidents during the evening or after hours” (both receiving a 3.2 average score from respondents). Hospital and K-12 campuses rate after-hour incidents as one of their top issues (3.4 and 2.9 respectively). Parking lot security ranks as the No. 4 challenge for colleges and hospitals. Interestingly, 28 percent of college and university respondents say their institutions highlight their video surveillance systems in the marketing materials targeting prospective students and faculty members. K-12 respondents say visitor management is their biggest challenge, rating it at 3.2. General student misbehavior comes in second place with an average score of 3.0. All of these results can be seen here in charts from the survey. 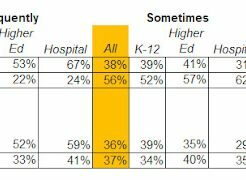 Overall, hospitals rate their top two problems as much more challenging than K-12 and higher ed rate their most difficult security issues. Healthcare respondents give 3.9 average scores to “emergency department incidents” and “incidents involving behavioral health patients.” That’s a big jump from higher ed and K-12 respondents, who rank their top security issues at 3.4 and 3.2, respectively. Other issues that survey participants mentioned include sporting event management, cyberbullying, truancy, incarcerated patients, wild animals, illegal vending, smoking, and slips and falls. Click here to download the survey results. Also, check out the comments left on the survey by security professionals regarding their video surveillance system(s). CS would like to thank the more than 700 school, university and hospital security professionals who participated in this survey. We truly appreciate your input! Security cameras can definitely make campuses safer. They not only act as deterrents, but they can also help catch those who are doing something bad. However, it isn’t enough to simply install them and forget about it. Security teams should make it a regular habit to review the footage.